I was thinking that this might be interesting for some of you guys, both in regards to current unfortunate developments in Europe, as well as in case of possible SB Pro PE scenarios. Here are MoD video about current modernization of our armed forces. This one is in HD but only in Polish. And here the same video, in lower resolution, but with english subtitles, dunno why MoD just didn't posted it also in HD. Anyway I will later on post here informations about current equipment as well as the one in development and soon to be in mass production. Also as a reservist I might share some of my experience with small arms, mainly AKMS and wz.96 Beryl + photos from Armed Forces Day and museums. So yeah, hope it will be interesting and enjoyable. I will describe situation with our heavy armor a bit later, but now also very important topic, artillery. Let's start with new 155mm self propelled howitzers. There are two projects, wheeled and tracked, let's start with the later one. 155mm AHS Krab is a tracked self propelled howitzer based on modified british AS90/52 turret and south korean K9 chassis, initially desire was to use domestically designed and produced UPG chassis, but because it was based on T-72 tank components that were designed for vehicle weighting below 50 metric tons, and Krab weighted 55 metric tons, it's performance was rather poor. Also quality of that chassis didn't meet army requirements so decision was made to use foreign chassis in the end. Only 8 AHS Krab vehicles on older UPG chassis were made, and are currently used for crews training. This is old Krab on UPG chassis. And this is new Krab on K9 chassis. Currently AHS Krab passed all factory and state trails and soon mass production will start. Actually there is already around 20 turrets made waiting for initial hulls made in South Korea, soon also production of these hulls will be moved to Poland. The good thing is we purchased full license, which means we can also modify these hulls design and use for other applications, as well as reexport them. Also if Norway would purchase South Korean K9 Thunder, it's possible that these would have made hulls in Poland, and Poland would become service center for them. AHS Krab will replace 122mm AHS 2S1 Gvozdika and partially 152mm AHS Dana. Another project, directly to replace AHS Dana is AHS Kryl. AHS Kryl is designed as lightweight and very mobile system to supplement heavier AHS Krab. While Krab is intended to support heavy formations like Armored and Armored Cavalry Brigades, Kryl will support mainly medium formations builded around family of wheeled combat vehicles Rosomak. Kryl uses Israeli ATMOS 2000 howitzer based on new model of Jelcz truck. To supplement these, there is also developed universal turret module with 120mm mortar Rak with autoloader, there will be two variants, wheeled SMK 120 Rak-K, and tracked SMG 120 Rak-G. Right now there are performed final preparations for starting mass production of SMK 120 Rak-K based on Rosomak chassis. As I mentioned, turret module is universal, so can be installed on wheeled and tracked platforms, but also on static platforms/fortifications or navy vessels. The primary MLRS currently used is WR-40 Langusta, which is modrnized BM-21 Grad, wich increased range, crew protection, mobility, communications etc. There was also project of WR-40 Langusta-2 which had additional missile rack with autoloader for rapid reload. It was however not purchased yet by Polish Army, it might happen when more WR-40's will be ordered to replace last BM-21's and RM-70's. The last project is WR-300 Homar, right now the prefered offer is polonized US M142 HIMARS system. This is how it can look more or less, using the same Jelcz truck model as 155mm AHS Kryl. Additional double purpose system are NSM missiles used in Coastal Missile Squadron (currently one in service, second on order), besides capability to attack enemy vessels, it have also secondary mode, that gives it capability to attack and destroy ground targets. Now about some good stuff, heavy armor. T-72M1, we have around 350 these tanks in total, with around 159 in active service. No upgrades are planned for them, and are meant to be replaced as soon as it will be possible. PT-91 "Twardy", Poland have around 232 of these in active service. Improvements over standard T-72M1 include, new 850HP diesel S-12U, new explosive reactive armor ERAWA-1 and ERAWA-2 (I will post separate informations about them later), fire control system Drawa or it's improved variant Radew, improved TPD-K1 day sight and also thermal sight, there are two variants of thermal sights, older Israeli made TES, and new Polish 2nd gen FLIR KLW-1 "Asteria". Vehicle is also equipped with self defense system SSP-1 Obra-3 which includes both laser warning receivers, and new smoke dischargers Tellur mounted on the both sides of turret. Other major improvements were only included in export variants PT-91Ex, PT-91M and PT-91P. Poland purchased from Germany 142 Leopard 2A4 tanks, currently upgrade codenamed Leopard 2PL is developed by Rhinemetall and polish industry, it is not known in 100% yet how Leopard 2PL will look like, and various visualizations are said to not be correct, so I will wait with posting any photos, to the moment when first prototype will be ready. Besides Leopard 2A4's, also 105 Leopard 2A5's are in service, there are also plans to upgrade them to Leopard 2PL standard in future when modernization of A4 variants will be completed. Now about a bit controversial topic. PL-01 Concept, in reality it was not a real project, just a concept mockup based on CV90 chassis that was only able to drive around, inside it was empty. The real project is codenamed "Gepard" and still is in early concept phase. For example recently general staff changed their mind about vehicles weight and protection, initially it was intended to weight max 35 metric tons, and armor was meant to protect against autocannons and RPG's, now this weight increased up to 40+ metric tons and in the end might exceed 50 metric tons, as general staff decided that armor protection should be able to protect also against ATGM's and tank guns ammunition. Vehicle still will have unmanned turret tough, as this is requirement. However it becomes more and more obvious we are unable to complete such ambitious project alone, and it is possible we might cooperate with Rhinemetall on this. In general the whole hype in internet and media around PL-01 is a bit silly. Because there is also a chance this project intended as T-72M1 replacement will be cancelled. There were already talks that perhaps better idea would be to replace T-72M1's with more Leopard 2's, or eventually purchase M1A2SEP, especially that our president suggested that there is considered possibility for Polish Army to be able to use US Army weapons stored in Poland in case of emergency. I also seen similiar suggestions coming from US, so who knows, future definately will be interesting. Later I will wright about lighter armor. Good stuff. Keep it comming. 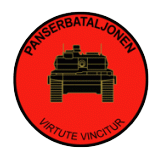 Polish land forces modernisations are very impressive you guys most have one of the largest tank forces in NATO. BWP-1 as BMP-1 is called here, we still have around 1268 of these antiques in service, tough replacement for them is currently in development, codename "Borsuk". It is still uncertain if "Borsuk" will be based on domestically designed chassis, or on foreign one purchased via license, both options are currently considered, also issue with amphibious capabilities are debated, initially there was requirement for new IFV to be amphibious, but after intelligence reports from Ukraine, now it's considered that perhaps heavier armor is a better choice. Also new IFV "Borsuk" will be equipped with unmanned turret ZSSW-30. Armed with 30mm ATK Mk44, 7,62mm coax, and Spike ATGM's. Same turret is also intended as upgrade for Rosomak wheeled IFV. Early concept model of IFV "Borsuk". Now about Rosomak, this is the basic Rosomak M1 variant which is literally just wheeled IFV, equipped with manned turret Hitfist-30P armed with 30mm Mk44 and 7,62mm coax, there is also planned upgrade for these turrets to equip them with Spike ATGM's launchers. Here is also IFV variant with unmanned turret ZSSW-30 prototype on the firing range. There were many more specialized variants of Rosomak developed. For example fire support variant with 105mm gun or 120mm gun, yet these are not ordered by Polish Army, tough 120mm variant might be eventually ordered. Rosomak/Wilk armed with 120mm gun. Rosomak-M with upgraded Hitfist-30P turret, as well as new addon armor acting also as buoyancy elements improving vehicles amphibious capabilities. Experimental Rosomak-XP with improved suspension and armor protection + some minor improvements. Rosomak WRT, you can consider it as ARV variant of Rosomak family. Of course there are many more variants in development. Another interesting R&D program was WPB Anders for modular tracked platform. Single technology demonstrator was build and later to prove it's modularity reconfigured in to several variants, these were. Light tank with 120mm gun in low profile manned turret. Light tank with 105mm gun in CT-CV turret. IFV variant with Hitfist-30P turret. IFV with unmanned Hitfist-OWS turret. Unmanned autonomous tank destroyer with Spike ATGM's in AMUR weapons module. Yes, this is truth, and we definately do not want to sacrifice these numbers, so perhaps PT-91's and T-72M1's will not be replaced at 1 to 1 basis, but in general we have around 250 Leopard 2's, we would need around 250 modern MBT's (Leo2's, M1's or something else) to solve our problems with tank fleet, then we could move around 230 PT-91's we have to reserve, and completely withdrawn from service T-72M1's. Effectively we would have around 730 MBT's in service, which is pretty reasonable quantity. By the way, here is promo video for WPB Anders. This vehicle actually was pretty functional, there were even tests made with it's main gun firing. And now maybe a bit different story, Polish and NATO troops together on proving grounds, with lots of tanks and other AFV's. This summer will be performed excercises "Anakonda 2016" and it's estimated that around 30,000 NATO troops will participate, mainly at the largest proving grounds in Europe at Drawsko Pomorskie. Would be a nice map to request on the terrain thread ? Yep, tough it's really large terrain, Drawsko Pomorskie proving grounds have a size of 36,111 ha. Here it is marked on map. Newest graphic from HSW showing our new IFV Borsuk currently in development. I find it refreshing to see Poland making the economic, and by extension social sacrifices required to maintain/field a strong, modern military force. Any student of history can easily understand its absolute importance for Poland. And that Borsuk looks pretty badass, if only because of the implications of the box on the side of the turret. The US, and Soviet union figured this out in the 70's, and 80's. European forces seem to continue to drag their feet on a decision that to me doesn't require a great deal of procrastination. That being AFV's with ATGM's as a standard. It is a force multiplier. The argument about the vehicles role, and whether or not it should have a weapon whose sole purpose is to kill other armored vehicles, including tanks, is to me easy to resolve. All one has to look at is the effect this had on US forces when the BMP-1 was introduced. And the perceived threat they posed to US armored forces. To me the threat alone mandates, and justifies its addition. Its not optional, but standard equipment IMHO. The other considerations can be solved through training. You would most likely find it interesting, that despite the fact our armed forces are no longer made by conscripts, but is based around volunteer system, that actually more and more young people want to serve, there is variety of reasons for that, you can consider it both patriotic, and also a fact that military offers a stable proffesion with very good salary, and of course a lot of guys that becomes mechanics, technicians or drivers can eventually later find a good job as civilians, however recently goverment changed the rules, previously a proffesional private could serve only 12 years, and if he didn't achieved promotion, after 12 years he needed to left the service. Right now proffesional private can serve up to retirement, which is good for armed forces as they will keep well trained experienced soldiers that can later teach new ones. Besides that also Territorial Defense Forces are being "ressurected", and as far as I know lots people want to join them already, also paramilitary organizations for young people are now being taken under MoD's "wings" just like high schools that are focused more on military type of education, one of such high schools is in my town, they do a good job. Yes, both Borsuk and Rosomak will be armed with Spike ATGM's, the ones on vehicles just like in case of infantry launchers will be able to launch missile not only in F&F mode, but also in manual guidance mode, so vehicle can be completely covered by obstacles, and fire/guide missiles from behind them, not being seen by the enemy. Also the currently used Rosomak's in wheeled IFV configuration with manned Hitfist-30P turrets will got their turrets upgraded with Spike launchers and also probably commander independent sight. It would had been done much much earlier however due to problems with launchers weight and integration due to turrets manufacturers issues, it was delayed. And there is a lot of vehicles to be ordered. Right now we have around 670 Rosomak's in several various versions, 307 more is right now during production phase, and there might be more ordered in nearest future. Same with Borsuk, it is said that we would need around 800 IFV's + around 800 more specialized variants, so around 1600 vehicles based on Borsuk chassis in total. By the way, if you or anyone else is interested, here is a YT channel that have episodes of Nasza Armia (Our Army) series made by public TV and MoD, it's in Polish so probably nobody will understand anything but in some episodes they show our guys from various units on proving grounds during excercises, or typical life in barracks, as well as excercises with our allies, sometimes in older episodes also something from Afghanistan. This also reminded me, maybe a bit unusual topic. We are currently moving with our river crossing capabilities modernization. Right now the basic pontoon bridge we use is old PP-64 Wstęga. Star 660 truck with PP-64 Wstęga segments. It is intended to be replaced by new bridge, one of contenders is our own development MS-20 Daglezja-P. Right now Armaments Inspectorate is considering to start procedure for procurement of replacement for PP-64. In Polish but translator might do the trick. There are also other versions of the bridge made within Daglezja program. MS-20 Daglezja-K, currently slowly in production. Tough keep in mind that this is still a prototype pretty much and new chassis might be used for it, for example a modified South Korean K9 chassis used for AHS Krab. Interesting thing is, that OBRUM made some very cool training tools for these vehicles and other ones as well. And now maybe something a bit else. Firearms, this is also interesting topic. 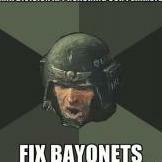 Maybe let's start with basic weapons used by regular army. I will start with weapons designed and manufactured by legandary Fabryka Broni Radom (Radom Arms Factory). Currently the basic carbine is wz.1996 Beryl in various versions. This is wz.96A a basic variant and my currently issued weapon as a soldier of National Reserve Forces, it's a pretty nice weapon compared to AKMS I had during my basic course, I like it's stock, much better than AKMS stock, new fire mode selector is a good thing, at least for people with right hand being their dominant one. This is wz.96B, a very rare model, that was designed during our mission in Iraq if I am not mistaken, never actually seen them in person, it was first attempt to integrate Beryl with picatinny rails. And this is newest wz.96C (also known as wz.2004), it uses new hand guard with integral picatinny rails, new stock with adjustable lenght, interesting thing is that primary picatinny rail is detachable from upper receiver. This is wz.96C Mini Beryl, sub carbine version for vehicle crews, and soldiers that need a lighter and more compact weapon. And this is experimental variant called sometimes wz.96D, it have new iron sights attached to picatinny rails, primary rail is now integral part of upper receiver, also it have new magazine well that can use standard STANAG mags. Upper receiver cover is also now on a hinges. Beryl M762 for 7,62x39mm ammo, currently purchased by Nigeria. Comparision of 3 variants of Beryl, from top wz.96C, M545 for 5,45x39mm, M762 for 7,62x39mm. Now something new, first in the world trully modular small arms system MSBS - Modułowy System Broni Strzeleckiej (Modular Small Arms System). The whole idea is based on a single common upper receiver module which can be combined with various other modules. This is MSBS-K from top to down carbine variant, standard variant, standard variant with UBGL, magazine fed light machine gun variant, marksman variant, and MSBS-R ceremonial rifle for our representative battalion. MSBS-B is a bullpup variant, it uses exactly the same common upper receiver as MSBS-K. Only ceremonial rifle variant is absent in bullpup configuration. MSBS variants for 7,62x51mm currently in development. Both in standard infantry and marksman variants. Concept of MSBS for 7,62x39mm. Here is episode of Our Army where we can see a great presentation of MSBS ergonomics and functionality. It starts at 3:20. MSBS currently is in the final phase of state trails, MSBS-R variant was just purchased by armed forces, and soon order for combat versions should be signed (hopefully). Mind that MSBS needs to pass the same standard trails as AK weapons need to be acepted by Polish Military. I actually had MSBS in my hands, and it's absolutely fantastic in terms of ergonomics and functionality. Ok one can call me biased but I had in my hands also AR-15 and G36 and they are nowhere near in terms of ergonomics to MSBS. Our guys made really fantastic job. Another new weapon designed by Fabryka Broni is new service pistol PR-15 (most likely will be designated wz.15 after it will be adopted by the military, it's general design can be called evolution of MAG-95/98 pistol, also designed by Fabryka Broni, it's fully ambidextreous, and seems to be really a nice handgun. Of course there is more products made by Fabryka Broni, here is their video about weapons they manufactured, and their website. Ok I think it's enough about small arms from FB Radom. I hope you guys find it interesting, also what is worth to note is that FB is opening factory in US, so anyone out there will be able to purchase weapons made by FB. We've had several attempts at a modular rifle system here in the US. The magpul masada aka ACR didn't reach it's market potential because of cost, and the fact that the promised variant parts never materialized. A more recent contender is the SIG MCX, its still early on this one. If the MSBS can be had at the right price, along with the optional variant parts, it might find a strong market here in the states. You can not underestimate the value of getting into the US firearms market. IWI has made a fortune with the Tavor here. It would not surprise me in the least if our civilian market has ended up paying a major portion of the R&D cost. If not all of it. Yup, this is what we count for.... and hey, would be nice if US Armed Forces at least would look at some of our products, you can bet that if you guys would purchase something, we would party and drink here whole month. Anyway, another interesting stuff we have is from ZM Tarnów. Here in Poland in terms of GPMG's and HMG's we didn't adopted western weapons, but use NATO standard ammo, so what we did? We took some Soviet designs and rechambered them, and also added some modifications. So our current GPMG is UKM-2000, which is PKM modified to use NATO standard 7,62x51mm ammo. Standard variant UKM-2000P. There is also UKM-2000C for vehicles as coax weapon, and there is UKM-2000D but it's a rare one AFAIK. Of course standard PKM's are still in use. But a new modification called UKM-2000M is currently in development. And there is also another one called UKM-2013. For 12,7mm we have WKM-B which is just rechambered NSV/NSVT. One of my favorite is 12,7mm gatling system WLKM multi barrel machine gun. Oh and yeah, I strongly recommend you guys to visit Poland 15 August, each year this day is Polish Armed Forces Day. It's worth to visit Warsaw capital city this day for several reasons. 1. Armed Forces perform a large parade through the city. 2. Besides parade there is also Armed Forces static exposition, so everyone can talk with soldiers, make photos, get inside vehicles or outside around them, touch weapons and become a bit familirized with them etc. 3. All museums in city are open for free for everyone. Video from last year Armed Forces Day. And here is a video from Polish Armed Forces Museum about Armed Forces Day. Thing to note, new Armed Forces Museum will be finished around 2020 and opened that year at Warsaw Citadel. Here you can see the new museum 3d visualization. Polish Armed Forces finally accepted AHS Krab self propelled gun-howitzer for mass production, great news! So mass production just started. Ok so maybe now something more fun. In the 1990's there was a lot of programs for modernizing Soviet designed stuff with western technology. Some of them might look a bit bizzare today, but I think they are still interesting vehicles. First is BWP-40 which is BWP-1 (BMP-1) with CV9040A turret. This upgrade was deemed as not very successfull, vehicle was to heavy to swim, and huge turret reduced number of dismounts to 6. Another ones is BWO-40 which is SPG-2A (modified and improved MT-LB) chassis with CV9040A turret. Another attempt to upgrade BMP-1 was BWP-95. This vehicle was uparmored with CERAWA-1 explosive reactive armor with ceramic plates. CERAWA-1 can provide protection against HEAT warheads with penetration up to 300mm RHA and 14,5mm AP rounds. Armament of this vehicle was made from a single 23mm automatic cannon, 7,62mm coaxial MG and recoiless gun SPG-9. One of the most promising upgrade was one proposal with Delco turret used also on LAV-25. It could still swim, have a 3 crew members, and could take up to 9 dismounts. And then there is obviously advantage of Delco turret and it's armament compared to original turret and it's armament. It was based on SPG-1M chassis which is modified MT-S tracktor developed in Soviet Union, for which Poland got a license. It used two turret variants, one uparmored, second lighter but with ATGM launchers. Turret was OTO Melara T60/70A armed with 60mm automatic cannon, 7,62mm coaxial machine gun, and optionally with ATGM's. Vehicle had crew of 3 and 8 dismounts. It weighted around 29 metric tons. Armor was homogeneus steel with thickness ranging from 10mm to 17mm. Ok I think it's enough for now, later gonna try to search more of such projects. Some cool photos from PT-91M production for Malaysia. You can notice how is intalled ERAWA-1 and ERAWA-2 ERA. So why not to talk about it a bit. I will post here an article written by my friend, however because his english is not the best, I will try to make some correction. The ERAWA armor is connected with person of the Prof. Ph.D. D.Sc. Adam WIŚNIEWSKI from Military Institute of Armament Technology (WITU) in Poland. Name of this reactive armor is based on acronym: Explosive Reactive Armor Wiśniewski Adam 1 and 2 layered. The origins of the ERAWA are hidden in middle of the 1980's when polish Military Institute of Armament Technology (Wojskowy Instytut Techniki Uzbrojenia - WITU) had started (in person of Prof. Ph.D Wiśniewski) development process for new armor which would be used in deep modernization of the T-72M1. In fact WITU work was focused on development of the whole family of armor with two armor types for tank applications: steel/ceramic composite armor CAWA-2 for tank front turret and hull and explosive ERAWA armor as external layer. Rumors about eastern (Soviet Union) origins of the ERAWA are false. Polish Army during negotiation about future production in Poland of T-72S tank (planned at half of the 1990s) rejected Kontakt-1 armor as solution with many flaws and as not good enough against projected RPG and ATGM warheads in 1980/1990. First variant, ERAWA-1 become available in 1993 with first PT-91 prototype. H- Guaranteed penetration of RHA armor with thickness "H"
ERAWA-2 (two layered) was answer for modern thread: AT weapons whit precursor (PG-7VR, MBT LAW, Panzerfaust-3T etc), EFP projectiles formed from 100mm diameter cones, partially APFSDS penetrators, and challenge to reduce RCS tank signature. ERAWA-2 and ERAWA-1 cassettes are fully replaceable. 4- thin metal lid ; 5- ceramics layer; 6- thin HHS plate; 7- rivet/screw; 8 - brackets for ERAWA-2 casette in distance 30-50mm form armor; 9- screw between cassette and brackets, 10- mounted nut. Internal design of the ERAWA-2 cassette is much more sophisticated then ERAWA-1 and it's very different then other known ERA cassettes. Basic design is similar to the ERAWA-1 – metal cassette attached by screws to brackets in distance of 30-50mm from armor surface. But internal design of ERAWA-2 is significantly different. First there are two HE layers inside cassette separated by thin (circa 2-3mm) HHS plate with hardness above 500BHN. Probably both HE layers have slightly different HE material with different reaction time and other parameters. Second – ERAWA-2 external plate is not thick HHS plate but multilayered array made by: thin metal lid, then circa 4-5mm thick ceramic layer and second thin (circa 2-3mm) HHS plate with hardness above 500BHN. During tests ERAWA-2 proved it's abiities to protect PT-91 hull top and turret top against EFP formed from 50-155mm cones (so up to 120mm RHA penetration) and to protect hull sides against EFP formed form 200mm cones (so up to 150mm RHA penetration). CP in first case (3BM15) was equal to 57%. PT-91 hull is consist by: (for 90 degree) 16mm RHA (HHS?) + 60 mm RHA + 105 mm STEF + 50 mm RHA, and glasstextolite thickness efficency is circa 0.4 against APFSDS, ERAWA-2 cassette is 46mm thick. So layout for 68 degree is: ~120mm ERAWA-2 cassette + 42mm RHS(HHS) + 160mm RHA + 280mm STEF + 146mm RHA. Hull base armor (without ERAWA) works as circa 420mm RHA against APFSDS. Guaranteed DM33A1 penetration is 470mm RHA on a distance of 2000m. DM33A1 after passing ERAWA-2 perforate first RHA plate and circa half STEF layer then ricochete. In theory ERAWA-2 give CP=42% in this case (using formula: CP=(H-Hw)/H) but in authors opinion such test is not relevant cause it was rather an effect of rebound mechanism than only ERAWA-2 effectiveness responsible for test result. Some sources (Kajetanowicz J., POLIGON 2/2013, „Czołg podstawowy PT-91 Twardy” page 7.) gives ERWA-2 abilities to reduce APFSDS penetration up to 30-40%. Which is consistent with above example. On the other hand - both used in tests APFSDS rounds are not modern. 3BM15 is completely obsolete and DM33A1 is not really modern either (DOI 1987). Probably ERAWA-2 test against much modern rounds (DM53, M829A2, KEW-A2, OLF-F1, M332) will give much worse results for the armor. Anyway - ERAWA-2 ERA increases protection of the PT-91 tank against non monoblock penetrators, so: 3BM15, 3BM22, 3BM26, 3BM42 and even helps against first generation longer monoblock penetrators (DM33). So for typical angle +/- 30. degree from longitudinal axis of the tank and against APFSDS from half of the 1980's ERAWA-2 have capability to increase protection – circa CP= 50-60% for penetrator whit tungsten or steel slug inside and achieve unknown (30%?) but rather significant protection against slightly younger APFSDS whit monoblock penetrator (DM33A1). ·Against SC warhead (HEAT) whit precursor. PzF-3IT600 main warhead (110mm diameter) is able to perforate 900mm RHA plate, and PzF-3T warhead is able to perforate 800mm RHA plate. ERAWA-2 against PzF-3T placed at 30 degrees (60) achieved CP = 50% with including sophisticated precursor in Pzf-3T and powerful 110mm warhead (800mm RHA penetration) was greater success. ERAWA-2 casettes are covered by 4mm special absorber layer (1K2KS and 1KF2KS absorber) with mass 6kg/m2 and able to protect against radar working in band X and Ku with f=8-16GHz. On typical PT-91 such absorber cover circa 20m2 and achives reduced detecting range at 50 to 60% for typical conditions. There was three generation of ERAWA armor on PT-91 tank. First generation consisted of 394 ERAWA-1 cassette. On hull front was placed 118 cassettes and on turret 108 cassettes. On each hull side was placed 84 cassettes. Such cover weight circa 1144kg. Weight 907kg. The main change is modular design to achieve faster replacement of damaged cassettes on battelfield. On hull are placed 79 segments, on turret 90 segments and on each hull side 45 segments. This generation layout is used on PT-91M „Pendekar” (or „Malaj”) for Malaysia, PT-91Ex and PT-91P prototypes. It is importand to notice that ERAWA can't be use on light platforms like IFV's or APC's. ERAWA armor will not be used on Polish Leopard 2A4 and 2A5 tanks for law resons – agreement with KMW and German Republic excludes non authorisated and non tested solution in Leopard 2 modernisation program. Cost of sucht certification and legalization propably will be to big to put ERAWA armor on polish Leopard 2. ERAWA-2 unique features, and compare whit other ERA armors. Polish ERAWA armor have some special features which makes ERAWA-1 and 2 very interesting example of different principles during ERA development process. First – ERAWA cassettes have small dimensions. While in other countries ERA cassettes are rather big, ERAWA developers had tried to make ERAWA cassettes as small as it is possible, withunder cassettes installation system. This solution gives possibility to mounted ERA cassettes without heavy metal frame known from other ERA systems or without space between ERA cassettes. In some ERA gaps between cassettes are almost 50mm wide. ERAWA ERA do not have such problems, so it can better cove the tank. Any flat surface cover by ERAWA is protected in 95% of it's area. Lack of any gaps between ERA cassettes on PT-91A hull and present sucht gaps on T-72B hull. Compared turret cover by ERA. Second feature of the ERAWA is its high effectiveness even on shallow angle. While most developers are trying to sloppe ERA cassettes at 60 degree (30) form 0 to achieve needed effectivenes level, ERAWA-1 and ERAWA-2 can be slopped at smaller angle with the same effectiveness. Typical ERAWA-2 CP value (capability of the protection) against single SC warhead is CP = 95% at 60. degrees angle. But even for extremely difficult for ERA cassettes angle 70-90. ERAWA-2 is effective in impressive CP=67-80%. Whole family of armors developed by WITU. CERAWA-1 explosive reactive armor with ceramic components. CAWA-1 and CAWA-1NA lightweight steel/ceramic composite armor for light vehicles and non armored structures. CAWA-2 heavy steel/ceramic composite armor for Main Battle Tanks. CAWA-3 and CAWA-4 next generation lightweight steel/ceramic armor for lightweight combat vehicles. PAWA-1 passive anti RPG armor for helicopters. ERAWA-1 and ERAWA-2 explosive reactive armor. 8. Koning P. J, Mostret F. J, „The Designand performance of non-initiating shaped charges whit granular jest against ERA”, 2th international symposium on ballistic Orlando 2002. 9. Podgórzak P., Wiśniewski A., „RESEARCH RESULTS ON PRECURSOR OF THE TANDEM SHAPED CHARGE PROJECTILE MODEL”, WITU 2005. 10. Dynamit Noble Defense, „Urban Warfare 2.0 How asymmetric threats dominate conflicts”, 2010. 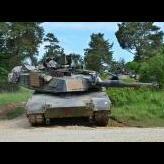 About the CAWA-2 composite armor for MBT's. Originally it was planned that PT-91 or one of it's further upgrades would receive CAWA-2. Actually there was no problem with front hull protection replacement, the problems was cast turret. CAWA-2 in form of flat slabs of layered materials didn't fit cast turret, it was also attempted to somehow replaces armor in already produced turrets but this always ended with serious structural damage to the turret. So it was recommended to design and manufacture new turret, welded from rolled armor plates. This however was extremely expensive for 1990's and our economic problems back then. It was then decided not to use CAWA-2 for PT-91 modernization. And it's pity, because it was good armor. Replacing it for the hull front, increased protection against KE threats able to penetrate around 500-550mm RHA. So in effect T-72M1/PT-91 front hull received KE protection levels more or less comparable to T-72B or T-90 (without ERA included of course). Here is old drawing my friend made based on descriptions and photos. There were two version of CAWA-2 tested. One as I mentioned, intended to replace old composite armor inside front hull glacis module, and second one, designed as external addon armor module. Ceramics used for CAWA-2 was Alumina and Silicon Carbide. 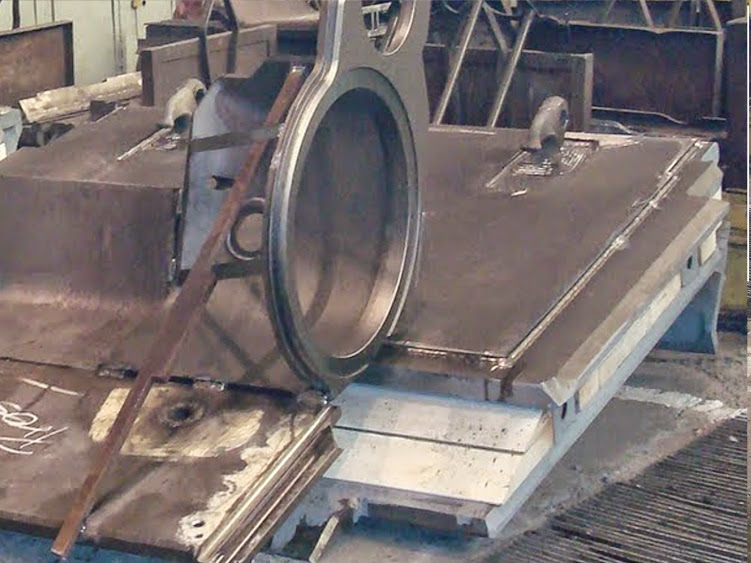 Steel was RHA with 300BHN and HHS with 500BHN, with thickness ranging from 1mm to 10mm. Speaking about active protection systems. Right now our military institutes are working on one, tough consider it's still as mostly experimental. Also recently during meeting of the parlamentary commision of national defense, it was revealed that Poland is cooperating with Ukraine for further development and eventuall polonization and manufacturing of Ukrainian explosive reactive armors. It most likely means ERA types like "Knife", "Duplet", "Knife-L" and "Raketka". Also Ukraine seems to have pretty nice offer of upgrades for various vehicles. Fresh visualizations of more variants of new IFV Borsuk (Badger). Such a thing from one of our military magazines AFAIK (didn't purchased it yet). It's said to be concept for IV generation MBT from OBRUM. Watch from around 12:00. This time they present 120mm automatic mortar Rak from the inside. We can see autoloader during loading cycle. It's also said that Ukraine is interested to purchase Rak and also Czech Republic.